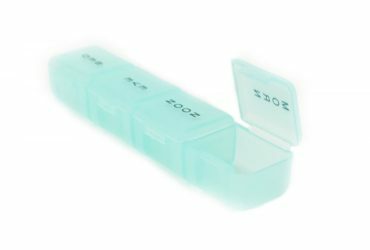 Larger capacity pill box for larger tablets and high dosage use. 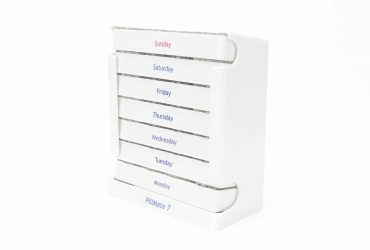 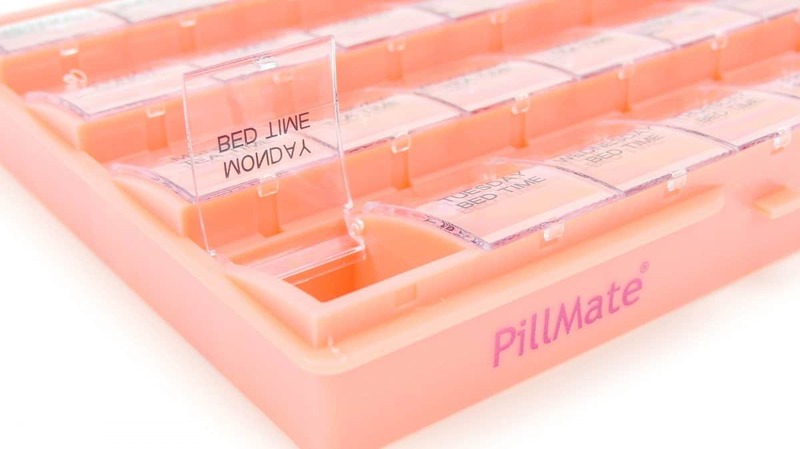 The pill box allows you to organise up to 4 daily doses for ‘Morning, Noon, Evening and Night’. 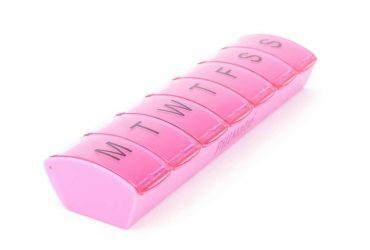 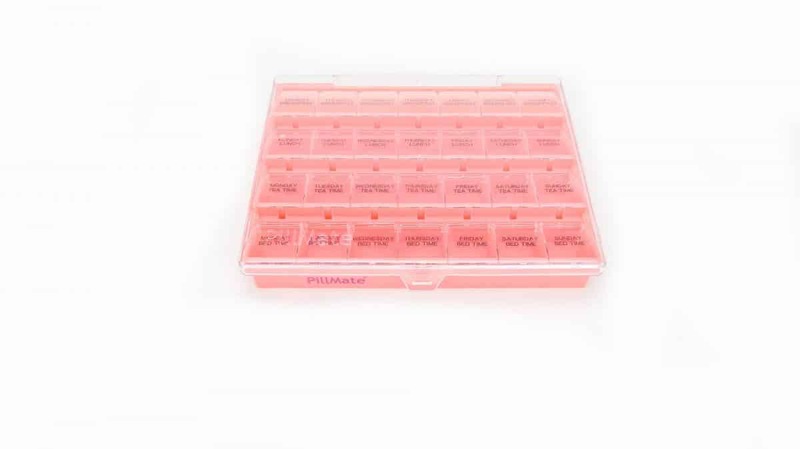 You can prepare your tablets for a full week using this 7 days pill box. 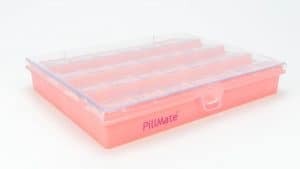 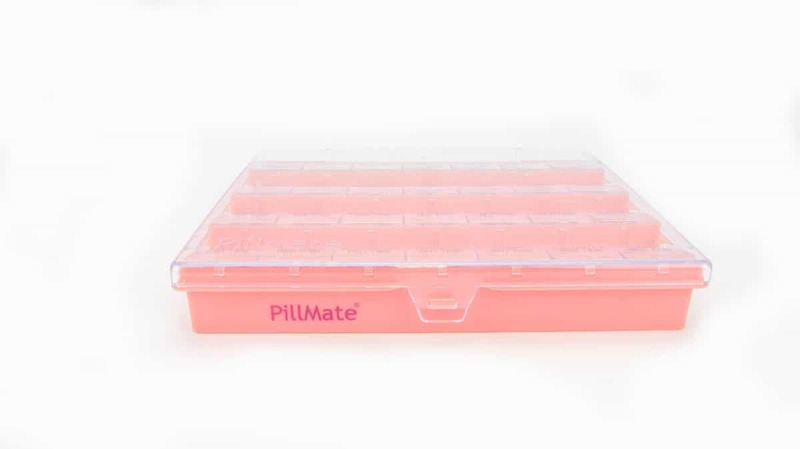 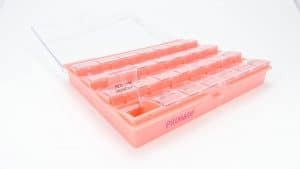 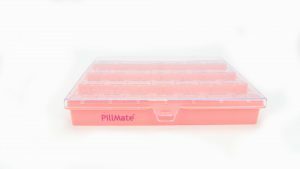 The Shantys PillMate ‘Extra Large Pill Box’, is one of our largest capacity products and so will allow you to prepare and organise larger tablets and or complex dosages. 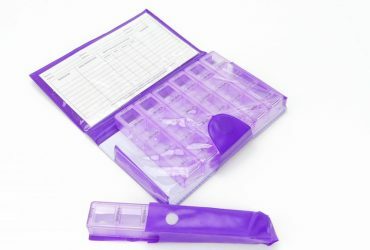 There are 4 daily compartments and allows you to store up to a full week.